The time is up Bouteflika, step down! The time is up, the clock is ticking, of course the protests continued and repeated again for a 4th Friday in a row, what do you expect? No change has happened! The wait is on.First, we were overjoyed by the news that he would not seek re election. but, that is not enough! 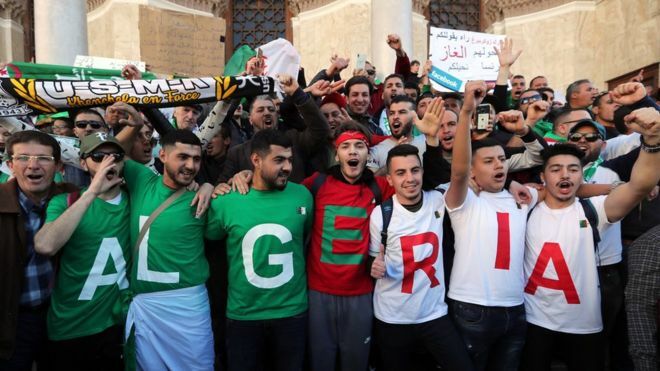 Then Algerians were informed that the presidential poll scheduled for 18 April would be cancelled.So is the plan just to remain in office for a longer period? No Bouteflika I am sorry, the flags are out, red, white and green, demanding you leave, you are 82 years old and your time has definitely expired. The system is old, the regime is dated and the authority is withered.